Although Nomos Glashutte is a relatively new watch brand (they were founded in 1990), they have garnered a huge fan base. Nomos Glashutte watches are known for their understated design and clean dials. These are modern watches that can be dressed up or dressed down, and they come in a wide variety of styles and colors for both men and women. Nomos Glashutte has recently released a brand new collection—the At Work Collection. This collection is comprised of fourteen new watches, featuring an ultra-thin movement and an updated size. These watches can be worn on a daily basis, no matter if you’re going to work or running errands. The fourteen watches come in a wide variety of styles and designs, but they all have two things in common: they’re 39mm in diameter and they contain an ultra-thin, automatic DUW 3001 movement. Nomos Glashutte typically produces watches on the smaller side (between 35mm and 36mm), so these 39mm watches will appeal to a wider audience, especially since larger watches are trending. The fourteen watches are split into four different families: Metro, Tangente, Orion, and Tetra. Tangente: Features a round case and clean dial. A combination of large Arabic numerals and indices act as the hour markers. Metro: Features a round case and a minimalist dial. Dots act as the hour markers. Orion: Features a round case and a minimalist dial. Indices act as the hour markers. Tetra: Features a square case and a clean dial. A combination of large Arabic numerals and indices act as the hour markers. Each family offers three different dial colors, including a silvered dial, a dark blue Nachtblau dial, and a Silvercut dial. The Silvercut dial, which features a metallic dial with a horizontal brushed surface, is a brand new option. The Orion offers an additional white dial, and the Metro is also available in solid 18k rose gold. All of the watches feature a seconds sub-dial at 6 o’clock, and you’ll notice that none of the watches feature a date window. This was most likely a design decision to keep the watches as clean-cut as possible. The watch is powered by an in-house automatic movement. The DUW 3001 caliber is 3.2mm thick, and it boasts a 43-hour power reserve. You can watch the movement at work through the see-through sapphire-crystal case back. 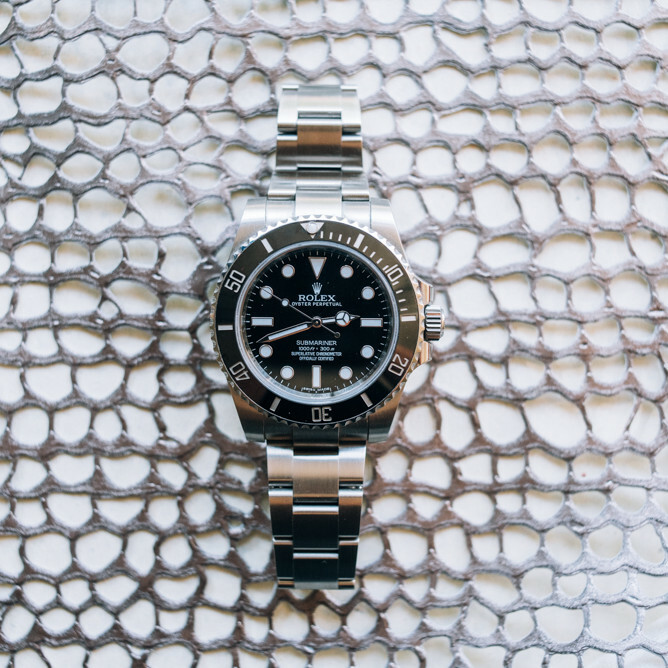 Prices vary, but all of the stainless steel watches are between $3,780 and $4,280. The solid 18k rose gold watch is priced at $9,700.